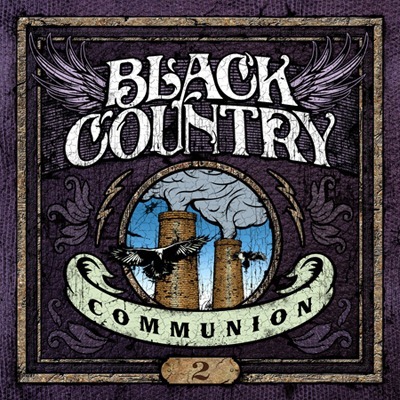 Let’s take a flash back into the 70’s… that’s where you’ll find the Black Country Communion 2 album. The collaboration between all of the band members is fantastic. On the album, you’ll find a lot of influence from Deep Purple and Led Zeppelin. The album starts off with the strong single, The Outsider. This track is a great single, has a killer opening riff that hits you right in the face – holy 70’s! The album has a lot of other hidden gems, such as The Battle For Hadrian’s Wall. Joe Bonamassa’s vocals are right up front on this track and we get to hear some of his great acoustic guitar playing, that slams on to a full blown out rock song. Another one of my favorites is Smokestack Woman. This is another song that has a Led Zep twist to it, which you can hear in Bonamassa’s guitar playing. The song almost reminds me of a Gov’t Mule song. Glenn Hughes vocals are simply outstanding. The 70’s train continues right on into I Can See Spirit. This is definitely a hit and would be great as a radio single – many tunes on this album are of that quality. I don’t think I’ve ever heard such awesome drumming, Jason Bonham really pounds the skins on this one. Saving the best for last, Cold. This song has a very interesting intro, you can literally hear Bonamassa’s guitar talking. The jaw dropping, guitar solo lasts for well over a minute. Glenn Hughes has a nice, soft voice on this song. Definitely a great bluesy ballad. It’s one of the longest tracks on the album, coming in near seven minutes. Heck, if it went on for another seven minutes, I wouldn’t be complaining. When it comes down to the bottom line – this is another master piece by Black Country Communion. The dedication and effort displayed in each song is outstanding. This record is a must have and I hope to hear many more records from this band. As Glenn Hughes says, this is real music. Many thanks to Kevin Shirley for being the man behind such an amazing group and producing such an overall fantastic album. The mastering is phenomenal and definitely has that 70’s groove to it. Make sure to catch Black Country Communion out on the road. Latest dates available on the Black Country Communion Fan Website. i have to admit , me at 55yrs old .first time “real” listener,i can’t get enough. i watched the “sir albert hall” concert and it blew me away .now, i’ve watched countless video’s, read your “wiki” and web pages. makes me wonder where “i’ve” been.